RIVENDELL MEDIA is the sales staff for more than 200 LGBT newspapers, magazines & entertainment guides & when you call us you are dealing directly with the publication. Rivendell Media will help you plan & execute media campaigns not only by region, city or budget but also by ethnicity, m/f readership, age & other critical indicators. “No request too large, no detail too small.” These are words we take to heart onboard every Uniworld ship. From creating one-of-a-kind ships that provide the perfect setting for your voyage, to ensuring that every detail of your time with us is flawlessly executed, we strive to go above and beyond to deliver a truly exceptional travel experience. The modern man has taken control of his wardrobe and realized that shopping does now rhyme with pleasure! 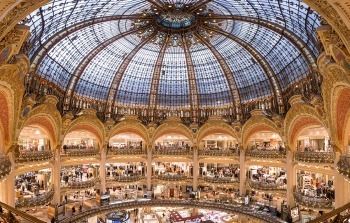 As such, Galeries Lafayette Paris has now provided him with a playground worthy of his new appetite for fashion, with 12,000m² now devoted to menswear across 4 floors, with a selection of clothing, accessories and exclusive products. IGLTA members can click here for an exclusive offer. MISSED AN ISSUE OF THE IGLTA eNEWSLETTER? VISIT AND SEARCH THE ARCHIVE TODAY. Immerse yourself in a journey like no other, with stays in our spectacular luxury hotels in Peru's most exciting destinations like Lima and Cusco. Plan your dream escape and Discover More of our beautiful world with this exclusive offer. Getaway to unpretentious Scottsdale Resort, AAA Four-Diamond elegance meets the best vacation values in the Valley. Escape to a haven of relaxation worlds away from everyday life. Book Now!